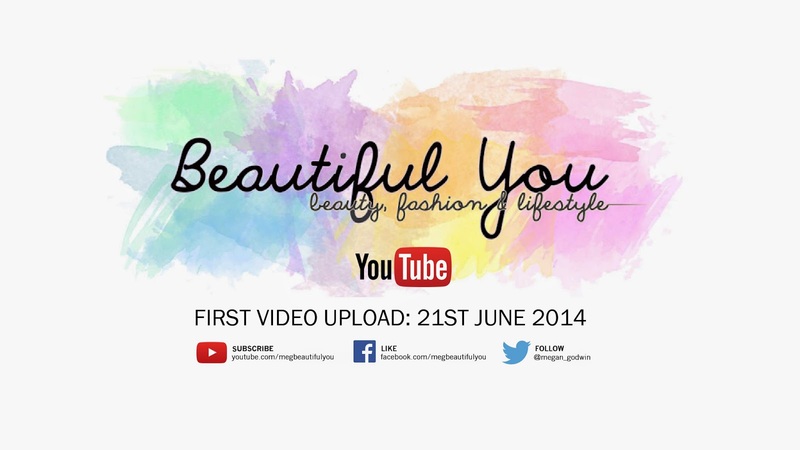 Beautiful You: My YouTube Launch! If you saw my blog post last Friday then you will know that I am starting YouTube! This is still a really scary thing for me because I've never put myself out there online like that but I think once I settle into it and I have filmed my first few videos I will be fine! Anyway I know so many of you have been asking why I didn't put the link to my channel or a launch date in my last post, well I will tell you why. I wanted to have a completely seprate post for the link launch and to tell you when I am planning to upload my first video! I am going to be launching my first YouTube video on the 21st of June as my exams will be over, I will have moved out of my flat and I will be living back at home which makes filming a lot easier! I am doing a lot of exciting things over the summer and I am very much looking forward to sharing that with you all on here and on my channel! I hope you all go and subscribe so that you don't miss my first video on the 21st and that you are all as excited as I am about this adventure! Thank you all for following me this far and I hope that you enjoy my videos. I will be back on Monday with another post so I shall see you all then, have a lovely weekend! Hey, excited to see your first video, made sure to subscribe!